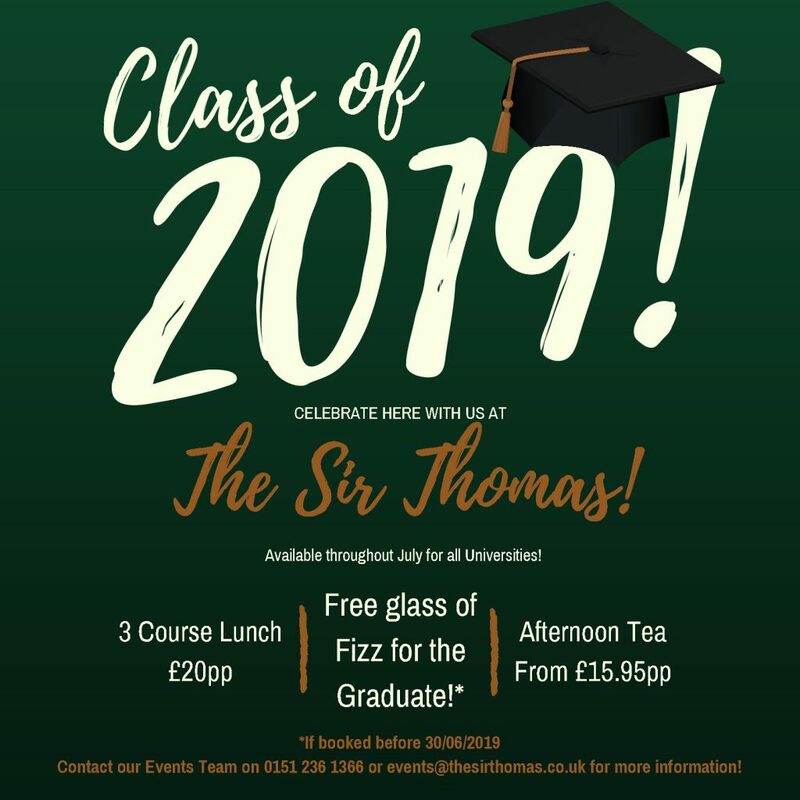 Toast your success at The Sir Thomas Hotel with one of our special Graduation Packages! Located just a few minutes’ walk from Liverpool’s Universities and only a 5 minute walk from Lime Street Train Station, the Sir T is the ideal location to celebrate your graduation in style! Enjoy a delicious three-course graduation lunch or dinner in the beautiful surroundings of The Sir T from only £20 per person or join us for our very special graduation Afternoon Tea for those looking for a wonderfully unique way to celebrate graduating for just £15.95 or £19.95 with a glass of bubbly.